Times have changed since I was a kid in class. Anyone who went to school with me can tell you that I was fidgety, spent many days standing in the hall, and told to turn around and “pay attention” several times a day. I laugh now because as an adult I can definitely understand how frustrating it must have been for those teachers to try and maintain some semblance of control with 35 children – much less having to deal with a squirmer like me. 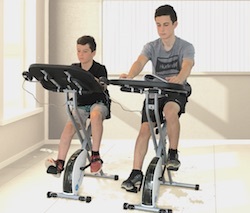 Would a DeskCycle have helped ADHD Child? Today I still fidget and find it difficult to sit or focus for long periods of time so I can say with the authority of 50+ years of being “easily distracted” that having something to do while sitting at my desk really helps. 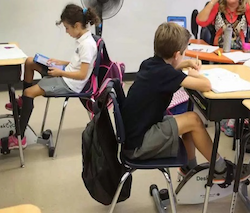 Kids needs are different than adults and fortunately, the classroom is rapidly changing to address these needs. The world is evolving and it is finally becoming acceptable, if not encouraged, to put more movement into the school day. 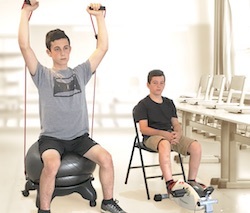 Exercise equipment is being moved into the classrooms all across the country and the positive results are coming in. Here are a couple of links to classrooms that have published their successes in the classroom. 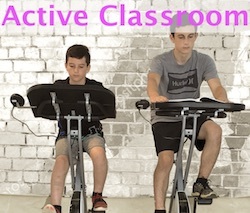 As well – here is a link to a CDC report on the benefits to having activities and exercise in the classroom. 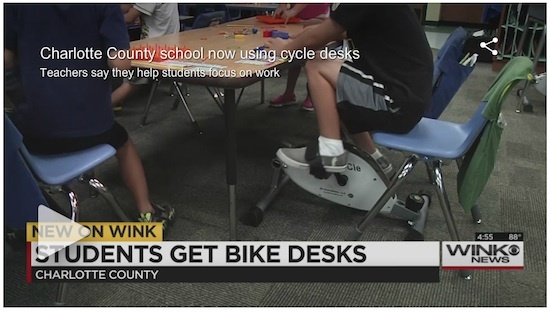 If you are an Educator please contact us before ordering your DeskCycle. You will be assigned a special discount code specific to your school. 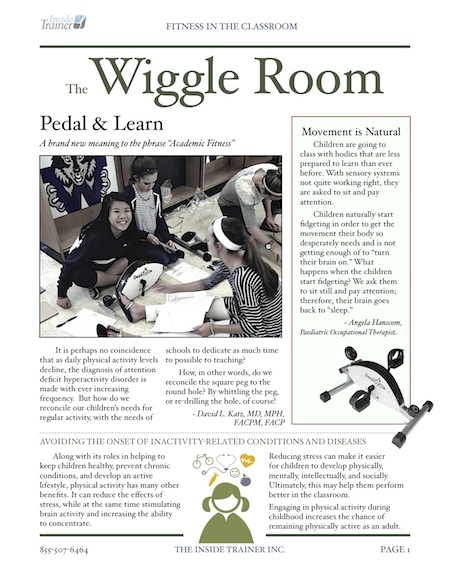 If you already have exercises or equipment in your classroom that is proving to be effective. Please share your experience in a comment below. I am sure other teachers, administrators, and school boards would love to learn about it.